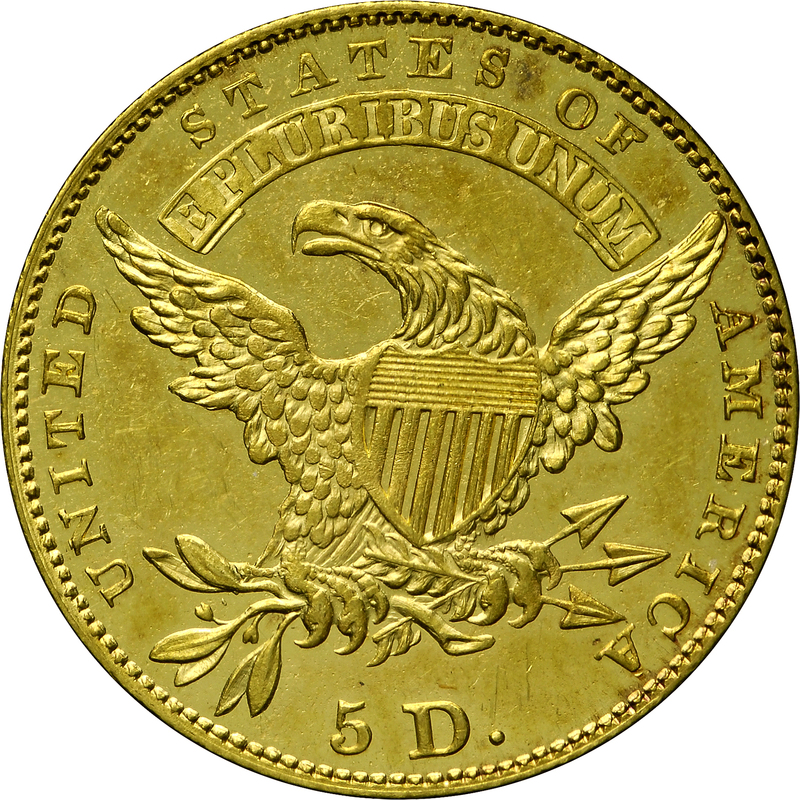 Two varieties exist among half eagles of 1830, differing primarily in the size of figures in the denomination. 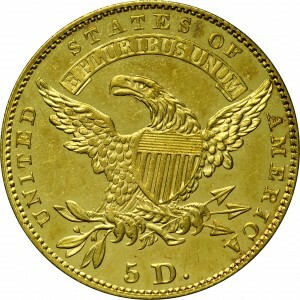 This example has larger figures in the denomination. 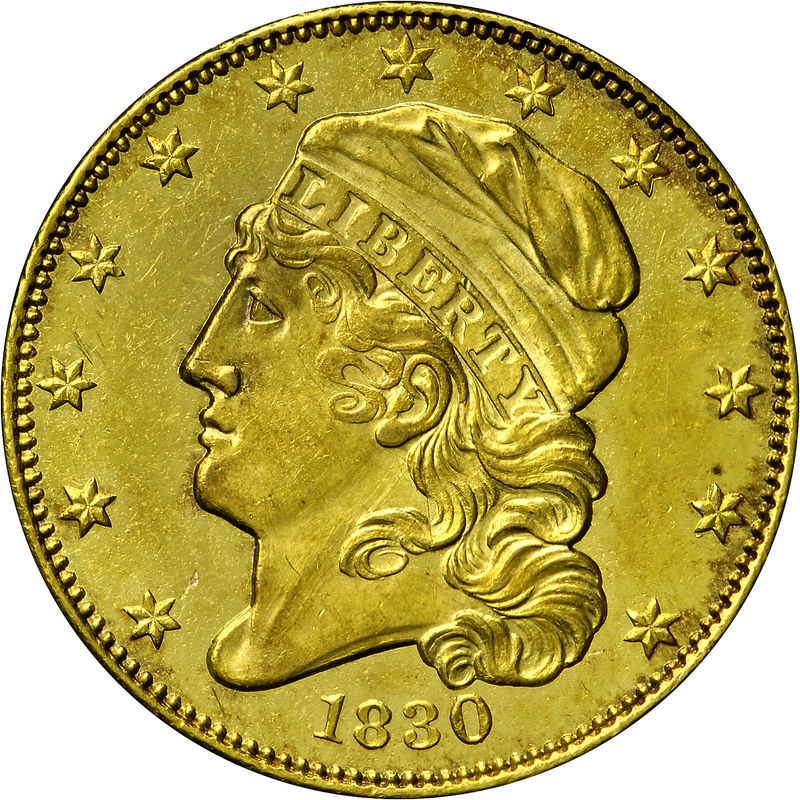 The closed collar provided a consistency among coinage not previously seen. An immediately visible difference is noticed at the borders, with dentils inside a pronounced rim. Prior to the change in 1829, borders had larger dentils that merged with the border, as seen at HBCC-3154 and earlier examples from the Bass Collection. The closed collar also had the result of better striking quality and standardized diameters. From Stack's sale of the Alto Collection, December 1970, Lot 137. "Obverse: Very small date, 1 taller than other digits. Symmetrical 8. Recut 18 0, most evident at top of 0. Small stars: 8, 9, and 12 recut. 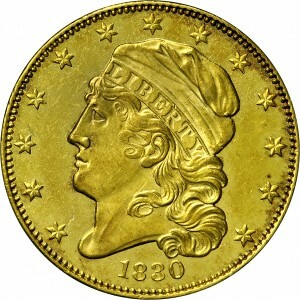 Reverse: That of 1829A. Small letters. Small 5, its top quite concave. Large D, small period. Modified claws. Rear claw below top leaves but a small lump remnant. Lapped."